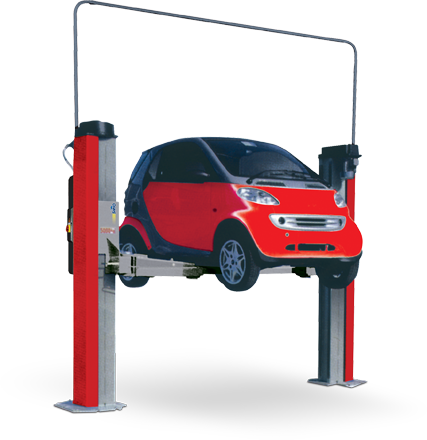 Baseless lift, allows easy access into the working area. 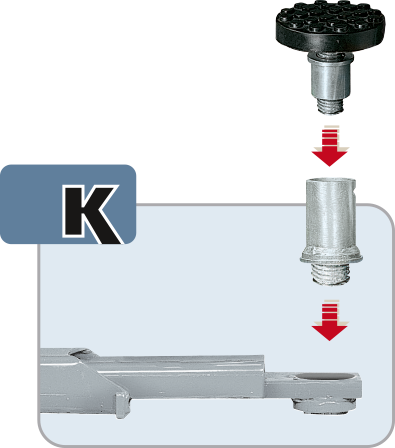 Three-stage short arms and two-stage long arms provide asymmetric lifting of vans and off-road vehicles-width between posts 2650 mm. 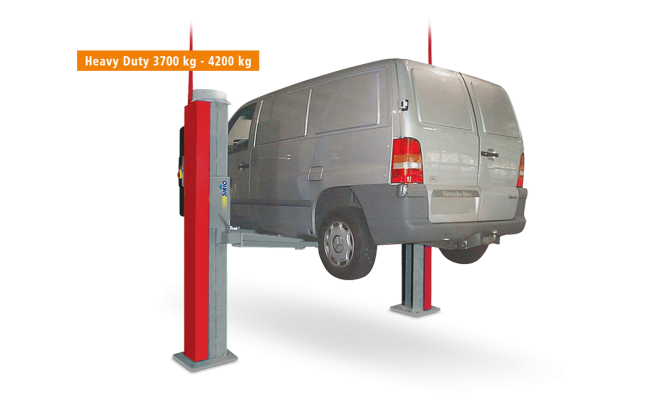 High capacity to meet any lifting needs up to 5000 kg. Model equipped with four long three-stage arms. The arms’ extensions slide on spring-mounted rollers. In comparison with SR 50LIKT, this model offers a minimum pad height of 120 mm and is equipped with two long 4-stage arms for the asymmetric lifting of particularly large and heavy vehicles, such as safety vehicles.